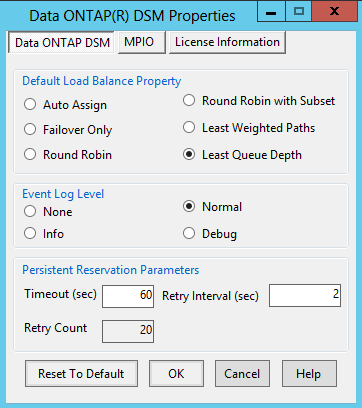 Image: Data ONTAP DSM 4.0.1 showing two Active/Optimized paths! 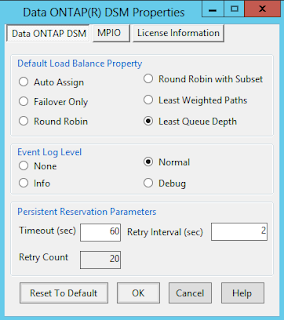 Note: “The default load balance policy setting determines the load balance policy assigned to new virtual disks. Changing this setting has no effect on existing virtual disks.” Either disconnect and then reconnect disk (using SnapDrive) or reboot the server to get the new load balancing policy to apply.